I have made a magnet door contact using a Arduino mini Pro 3v3 powered with 2 coin cells battery. To save battery life, I want to use gw.sleep to let the Arduino mini to sleep and trigger when the door is open. Unfortunately, the arduino is not trigger when contact is open or closed due to gw.sleep. I was wonder how to use the sleep comment and still making the debounce action works. I have tried to use INTERRUPT but with no luck. @Chakkie - Looks right, Do you see anything in the serial debug log when you try? The code looks ok to me (except that you might as well set SLEEP_TIME to 0 since the loop only will report on change, regardless of the sleep time). Maybe add a few Serial.println statements in different parts of the loop so you can debug what happens? I have added some print to debugged. It seems like the code with sleep does not verify and send the high 1 or low 0 when I open and close the contact. See the serial debug log. The repeated sleep in the log is when i open and close the contact. Normally it will send 1 or 0 " send: 204-204-0-0 s=3,c=1,t=16,pt=2,l=2,sg=0,st=ok:0"
@Chakkie - add a debugline and see what value and oldvalue says. See if you can measure the input when you close the contact and when its open so its not a hardware failure. @Chakkie debouncer does not function when you use the sleep function. Reason is that sleep puts the internal timer which is used by debouncer to rest. Remove the debouncer routine and debounce by including a gw.wait(40) before going to sleep. This avoids a retrigger by an eventual contact bounce. @sundberg84 I have debugged a several times. I am now sure it is not a hardware failure. @AWI Thank you so much. Yes I have came to the conclusion that the debouncer does not seems to work fine with sleep function. So I have used a method other than debouncer. @Chakkie Good to hear. Using "-3" makes the interrupt number the same for _Deur and _Post. Using -2 activates both interrupt 0 and 1. You'r ready for the next project..
We should really get rid of the confusing "- 2" stuff in the examples and start using DigtalPinToInterrupt instead. I'm annoyed enough to see if I can create a pull request later this week. @AWI Thanks. By the way would you care to explain the interrupt index number? or may be a link for explanation? @mfalkvidd Thanks for the info. Does DigitalPinTolnterrupt works better? @AWI Thanks this clear thinks up but at the same time also confusing too. So "-2" activates both 0 and 1 on pin 2 or pin 3 as you mentioned earlier. I always though it represents a pin number. @Chakkie The function digitalPinToInterrupt(pin) translates the pin number to the attached interrupt like "-2" does but in a reliable and more understandable way. @AWI thanks. this looks like more promising. I would like to build the same but I am still very confused now. Could you upload some pictures so I can make myself an image of how you wirde things together? Ok thx for explanation, but that means he is using 2 reed switches, right (interrupt at pin2 and int pin3)? @AWI I was going to ask about that.. I dont see any reason to wake up every 24 hours just to go back to sleep again.. I assume the radio doesn't have any reason to send a keepalive or anything? So, you can omit that number, and it will sleep until interrupted? That's cool.. Thanks for the info. I thought you always have to add the sleep time to the gw.sleep. I will disable the a wake timer by removing the 86400000. @siod I use one switch for the letterbox and one for the door. well, as you can see, if you don´t know the libraries exactly you accept things as they are or as they seem to be. I wasn´t aware that you can just set the wakeup function to 0. So this said I would like to thank you @AWI for your patience and your willingness of explaining also the most obvious things! interrupt - Interrupt that should trigger the wakeup. ms - Number of milliseconds to sleep (or 0 to sleep forever). The sleep method returns true if wake up was triggered by pin change and false means timer woke it up. @treb0r the problem is, you need to wake up the arduino to tell the temp sensor to take a new reading, so the best you can do is to trigger on the interrupts for the Windows and then use the timer to wake up and take the temperature reading, and then you'll have to compare to your saved value to decide whether it has been 5 degrees or not, so you can't completely sleep until that happens..
unfortunately I have to answer again to this topic because I don´t get my nodes work longer then up to two weeks. I guess it is still a sleep function problem and the problem persits though I am usin ver 2.0 now. Please have a look at my code, any hint is very appreciated!! I have attached 2 reed switches which should trigger a wakeup and one Hum/Temp Sensor is attached, too. I would like the device to send temp/hum measurements every 15 minutes, what works, but only for a few days or so. Then I also send battery level, that´s all. // Sensor Node Schlafzimmer mit HTU21D Temp/Hum Sensor, Fensterkontakte an Interrupt PINS Digital 5&6. Sleep Time 15 Minutwn, wake up wenn Fenster geöffnet/geschlossen wird. //Presentation; present sensors to gateway! I'm assuming your batteries are empty when you say fail ? I built 5 of these last week for my dads place. I set internal pullups to LOW and soldered a 3,3MOhm resistor between VCC and Pin2. I'm seeing around 30µA when sleeping on two fresh AA batteries. With internal pullups that would be around 1ma and that would indeed drain the batteries quite fast. no Sir, batteries are still at around 90% charged. @siod , I had the same problem. I actually ordered a original NRF 24 mini and this seemed to solve some of my problems. On a side note.. I'm with @sling . Loose the pullups and set them LOW´. I have a 1MOhm resistor between VCC and PIN 2 and PIN 3 (also 2 switches). Using the pullup HIGH draws around 130uA versus LOW it draws between 7 to 10uA! No gentlemen, I don´t think it is a battery problem, maybe a radio problem, but not a battery problem. But my sketch seems to be ok? That's the best solution with a normal reed switch. But the best way is to use a "double" reed switch, with both normally opened and normally closed contacts. I use that connected between GND and pin 2 & 3 and set only the unconnected pin to high (so, with pullup). Current will flow only a very short time through the pullup while the node is waking up from sleep, then first thing I do is set connected input low. So nearly 100% of the time input is not connected and current through the reed switch is 0. I've put a test node on my entrance door, it's been running for over 3 months on a CR2032 cell and has lost only 0.02V meaning it will last at least 2 years, maybe 3. * NCA78: Updated to work with one dual normally open/normally closed reed switch on both interrupt pins. const int VccMax        = 2900;  // Maximum expected Vcc level, in Volts. Ok guys you convinced me, I will set them LOW instead of HIGH. I would be interested too as I have some battery problems with my reed switches too. I guess its VCC | Reed Switch | GND and Reed Switch |1M Ohm Resistor | inputpin, right? Connect the REED Switch with one leg to GND and the other leg to PIN2. And then you put a 1MOhm resistor between VCC and PIN2. put a 1MOhm resistor between VCC and PIN2. 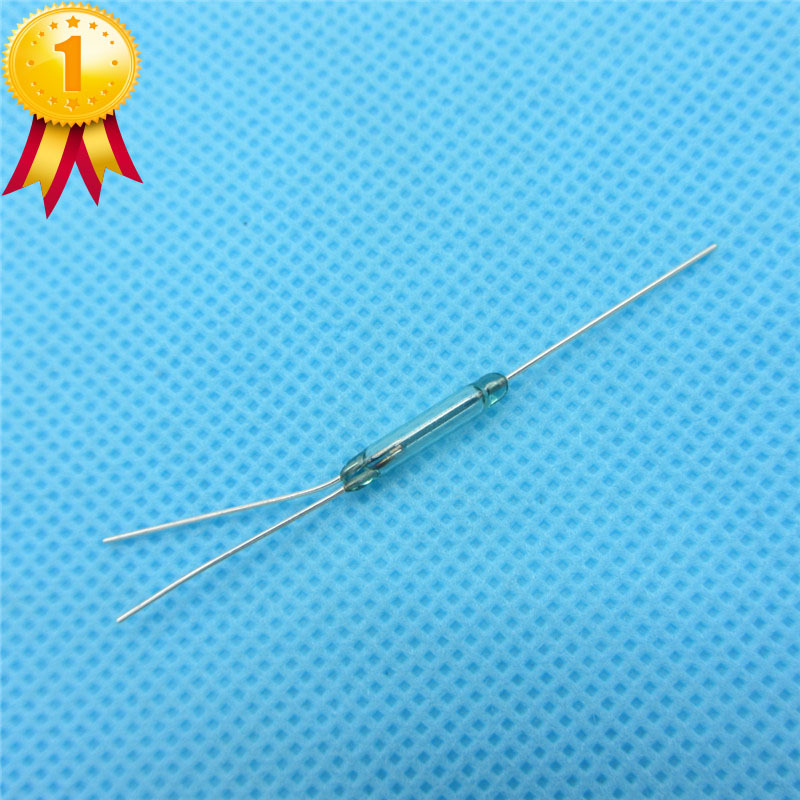 This is used as a pull-up resistor to keep the signal to PIN2 active HIGH until the reed switch is closed. With this setup PIN2 would stay active LOW and in your code you would check to see if it goes HIGH for the switch contact. My thought is that doing it with the resistor to VCC from PIN2, which would be active HIGH, would use a slight bit more power than keeping it active LOW with the resistor from PIN2 to GND . As I said, I have never tested this, so I may be wrong. new observation: I have two temp nodes with red Htu21d in them. One keeps locking up randomly. Have to go outside and reset the arduino. I'll try another sensor today and see if it fixes things. Have completely rebuild the node twice now with new parts except the sensor.